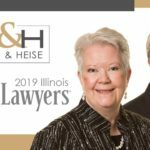 The Lake County IL Family Law and Estate Planning attorneys at Bush & Heise are skilled in a variety of areas of the law and have extensive practical experience serving clients throughout Illinois since 1977. When encountering complex matters of the law, many people are unsure of what action to take. Legal decisions made now may affect a person for years to come. 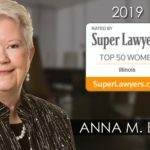 It is wise to speak with an experienced Lake County divorce lawyer or estate planning attorney, before making any significant legal decisions, to be certain that your best interests are addressed. The divorce and elder law attorneys at Bush & Heise will provide comprehensive representation and develop a strategic plan so that once legal proceedings are finalized; you will be able to maintain a positive path toward your future. If you have legal concerns and require guidance, contact Bush & Heise, to schedule a free, no obligation initial consultation. Our legal team is ready to explain all options and help you to make intelligent, well-informed decisions about what to do. Family law matters can take a significant financial and emotional toll. Working with an experienced Lake County family law attorney, however, can make the process much easier to bear. If your concerns about the distribution of your estate are not addressed before your incapacitation or death, there is no way to be certain such issues will be handled correctly through probate. You need to speak with a Lake County estate planning attorney to ensure your wishes are honored. Our Lake County Elder Law Attorneys have over 40 years of experience assisting clients with elder law matters. We actively seek alternatives and devise unique resolutions for your legal situation. Probate is the process of administering an estate to beneficiaries after the owner of the estate is deceased. A knowledgeable Lake County estate administration lawyer is essential in order to successfully navigate this process. Our attorneys have the experience necessary to sort out any complex issue arising from the probate of an estate in Cook County Illinois. 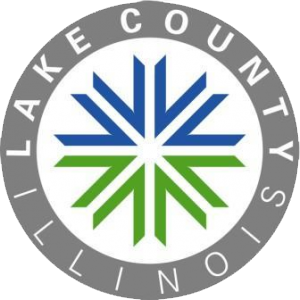 We are proud to serve clients throughout northern Illinois, including communities in Lake County with respect to matters of family law, estate planning, elder law and probate. If you have legal concerns and are unsure of what to do, contact an experienced Lake County family law attorney or estate planning lawyer at Bush & Heise today. Call us at 1-847-382-4560 or click here to schedule a free initial consultation for an honest and straightforward assessment of your case. We accept Visa and MasterCard payments, and we are available evenings and weekends by appointment for your convenience. Bush & Heise is a full-service Lake County family law, estate planning and elder law firm located in Barrington, IL. We represent clients throughout northeastern Illinois including the communities of Algonquin, Arlington Heights, Barrington, Barrington Hills, Bartlett, Buffalo Grove, Cary, Crystal Lake, Deer Park, Fox River Grove, Hawthorn Woods, Hoffman Estates, Inverness, Kildeer, Lake in the Hills, Lake Zurich, Long Grove, McHenry, Mount Prospect, Mundelein, North Barrington, Palatine, Rolling Meadows, Roselle, Schaumburg, Streamwood, Wauconda and Woodstock.